It is snowing to beat the band today! Predictions are of one to three feet in our area. 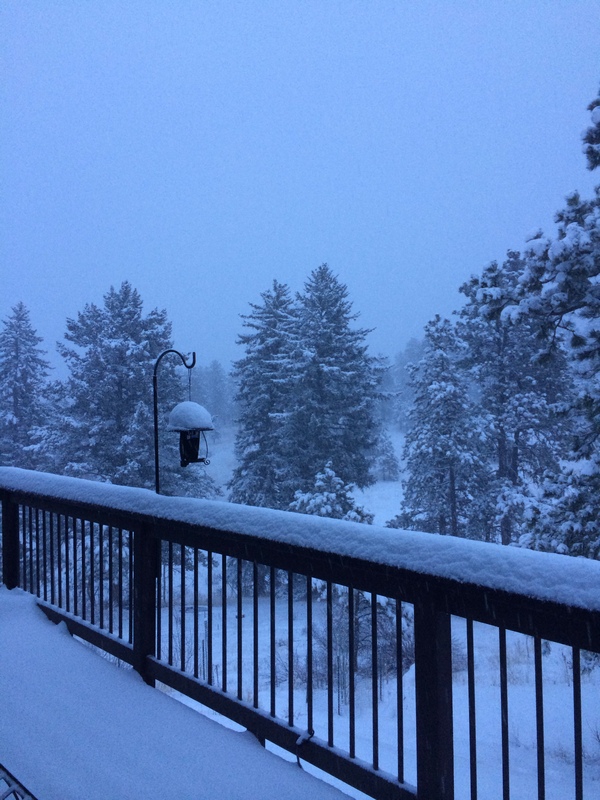 Lovely spring snow that will soak the ground good for all the trees, shrubs and grass. It also gets me thinking of weather on the other hemisphere and where to visit while I am there. Wilma said that it was 90 degrees yesterday but that it has been cooling off for the most part and she was seeing people in coats and hats the other day. She also said they tend to wear them at around 70 degrees. 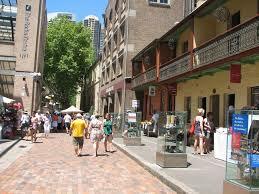 Sydney Harbor – Maybe a Ferry ride or get across the bridge for a view from the other side. You can do a bridge climb which I think would be fantastic, but I’ll save my pennies for some other things this trip as it is a bit pricey. 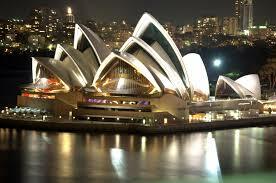 Sydney Opera House – Not sure if I will be able to get both day and night photos, but it is a must to see. 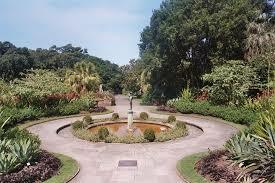 The Royal Botanic Gardens: sounds like a beautiful area to see the flora and fauna of the local area. It is free of charge and I should be able to get there via public transportation as with most of the things in Sydney on my own when Wilma is working. That’s a start for in the city. I’ll check out more in a day or two. Wish I was going with you. I’d even play in the mud with you and Wilma! Cause that’s where I would be! Take lots of pictures and I know you’ll have lots of great stories to tell at the next Mom’s Night! I’d love to have you along. You’ve proven to be a good travel companion and up for joining in most activities too. People might complain of excessive laughter on the plane ride though. Wilma’s daughter Pebbles is to take photos I think so there should be a few to make fun of.